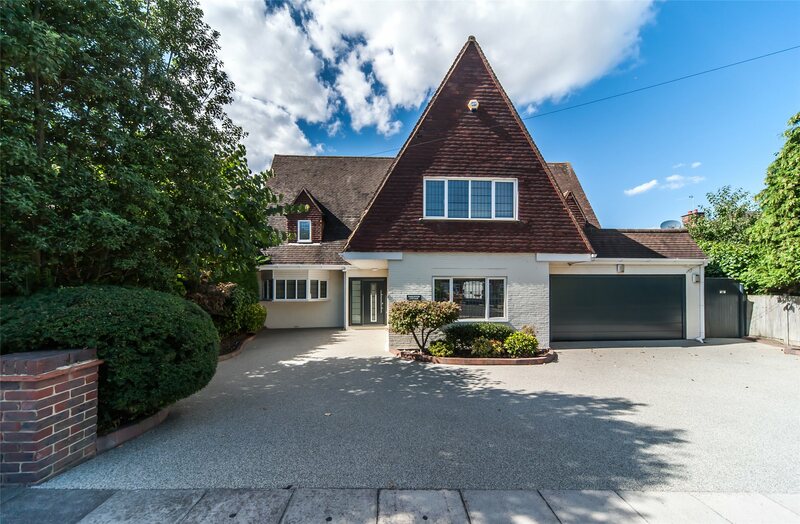 Guide Price £1,300,000 to £1,500,000 Parkwood Cottage is a truly unique and magnificent family residence set along one of Bexley's most desirable roads. 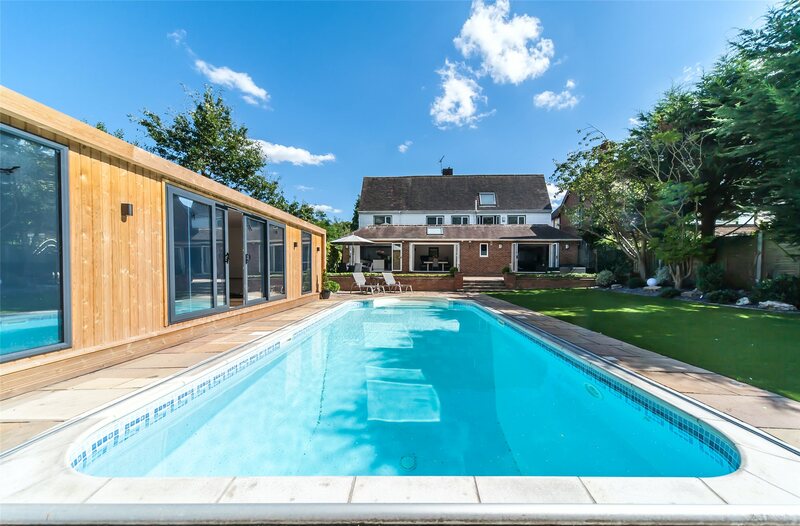 Built in the 1930s, the property has been extended and lovingly improved by the current owners over many years. 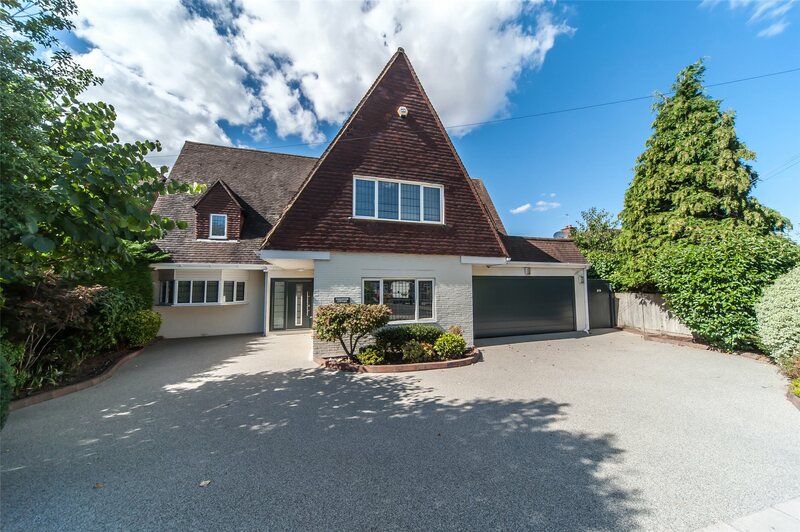 This residence forms a spacious detached property with a luxurious, modern contemporary finish throughout. Entrance Porch: 'Hormann' security door with windows to front and side aspects. Amtico flooring. Ground Floor Shower Room: Double glazed window to rear aspect. Enclosed WC. Vertical radiator. Feature glass sink unit with glass floating pedestal. Large soak away shower cubicle. Tiled walls. Tiled flooring. Lounge: 27'2" x 18'3" (8.28m x 5.56m). Double glazed leaded light bay windows to front and side aspects. Ornate coving. Bi-fold doors to rear garden. Column feature radiators. Power points for home entertainment system. Dining Room: 15'9" x 13'8" (4.8m x 4.17m). Bi-fold doors to rear aspect. Velux window to rear aspect. Feature vaulted beamed ceiling. Column feature radiator. Oak double doors to kitchen. Reception Three: 18' x 11' (5.49m x 3.35m). Double glazed leaded light window to front aspect. Feature wall housing storage and power for home entertainment system. Feature column style radiator. Amtico flooring. Utility Room: 13'3" x 6' (4.04m x 1.83m). Range of wall and base units with Quartz worktops. Built-in sink and chrome tap. Plumbing for washing machine. Space for fridge/freezer. Space for tumble dryer. Hanging space. Amtico under floor heating. Landing: Large velux window to rear aspect. Double glazed leaded light windows to rear aspect. Feature column radiator. Large storage cupboards. Access to loft. Bedroom One: 18'7" x 13'4" (5.66m x 4.06m). Double glazed leaded light window to front aspect. Feature column radiator. Parquet flooring. Bedroom Two: 15' x 12'2" (4.57m x 3.7m). Double glazed leaded light windows to front and rear aspects. Built-in desk, wardrobe, shelves and wall cabinets. Radiator. Bedroom Three: 14'9" x 12'8" (4.5m x 3.86m). Double glazed leaded light windows to front and rear aspects. Picture rail. Built-in wardrobes and drawers. Radiator. Underfloor heating. Wood laminate flooring. Bedroom Four: 11'8" x 10'1" (3.56m x 3.07m). Double glazed leaded light window to rear aspect. Built-in wardrobe to one wall. Feature column radiator. Bathroom: Double glazed obscure window to rear aspect. Pedestal wash hand basin with chrome mixer taps. Coved ceiling. Panelled bath with built-in shower attachment. Low level WC. Tiled walls. Tiled flooring. Under floor heating. Front Garden: Secure side gate access. Permeable resin driveway. discreet boader lighting. 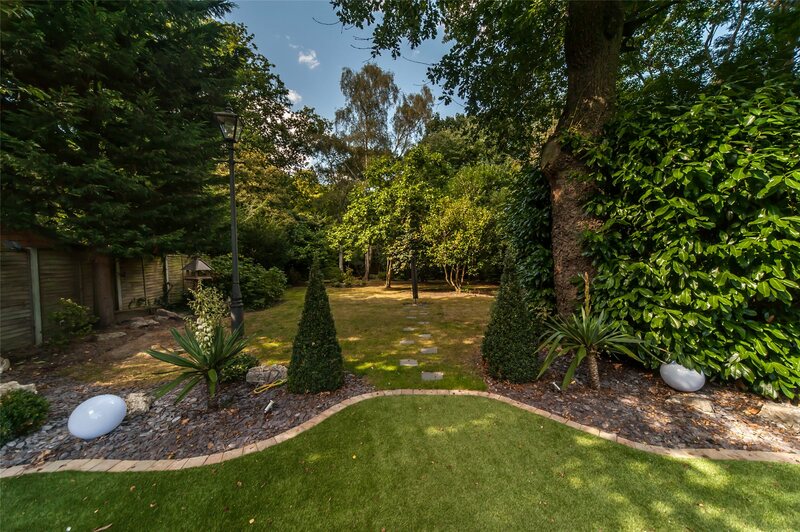 Rear Garden: 250ft x 60ft. Large patio with steps down to an artificial lawn. Large array of trees and shrubs. 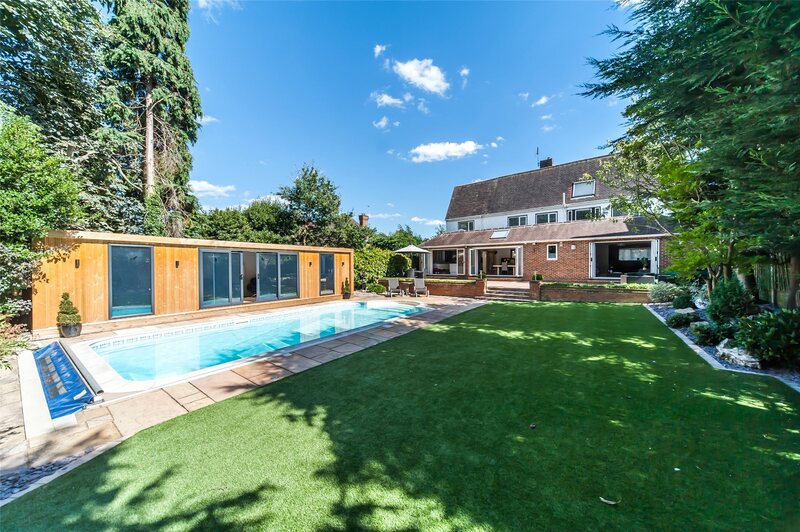 Heated swimming pool with controlled cover. Discreet garden lighting. Outside security lights. Garage: 18'7" x 18'6" (5.66m x 5.64m). Double garage with electric roller shutter doors. Power and light. 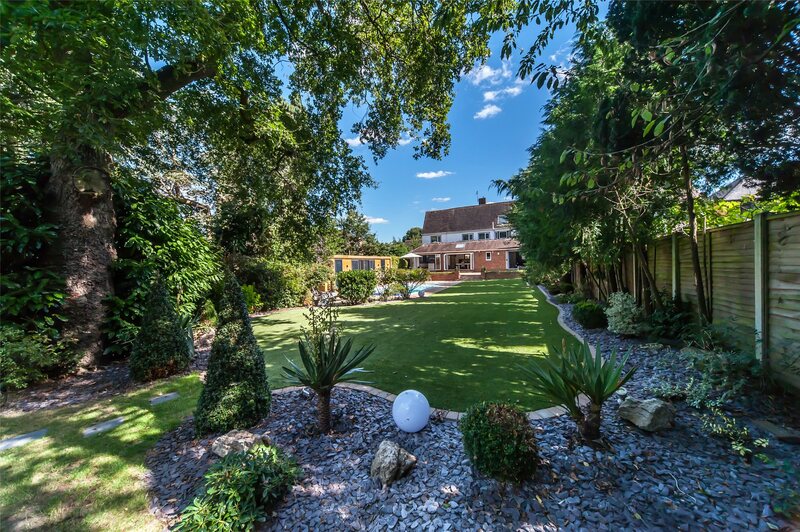 This impressive family home has been a labour of love for the current owners, with no expense being spared when undertaking the high quality work that has been lavished on this property. To the front of the house is a hardwearing permeable resin driveway that provides access to a detached garage. 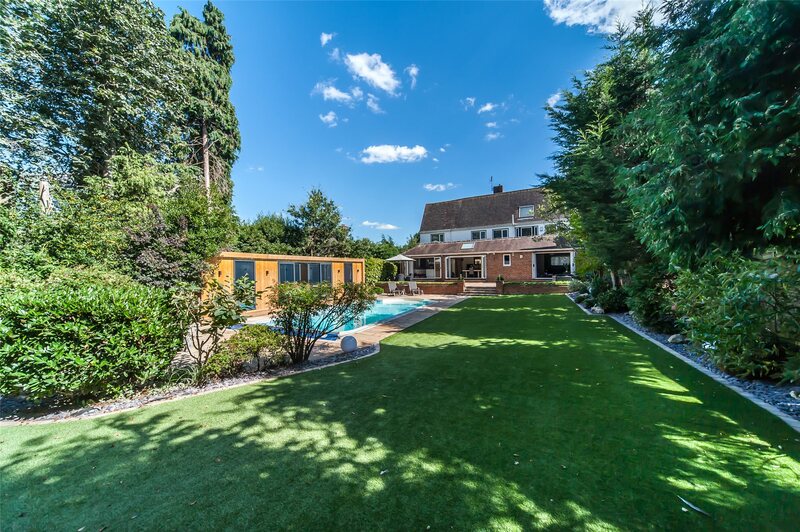 To the rear is a 250ft landscaped garden that incorporates a large formal patio area for entertaining, a large garden room overlooking a heated swimming pool, a further outbuilding currently used as a gym, and a large variety of trees and shrubs that provide all the privacy you could desire. The scale and layout of the accommodation is implicit of easy living, and is sure to meet the demands of even the most discerning of buyers. 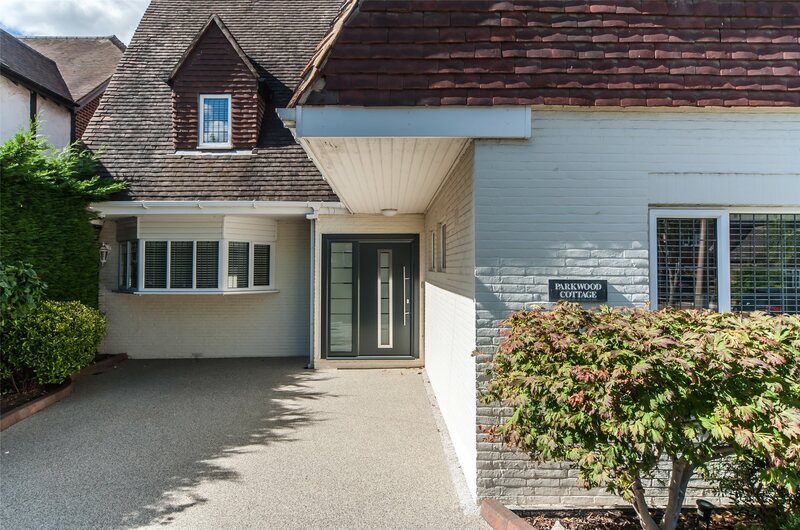 The ground floor entrance hall features an attractive oak staircase with glass balustrading, a modern shower room & WC, three well-appointed reception rooms, a utility room and luxury bespoke fully fitted kitchen. To the first floor are four generous-sized bedrooms and a family bathroom.